I bring the bowl into the shower with me and place it where water wont get into the bowl. One side note is that I always brush my hair before I get into the shower so that I don’t have tangles in the way of my curls. After washing my hair, I use my fingers to run through my hair to separate my hair and make sure that I still don’t have any tangles. If I do, I fix them before moving on. Turn off the water, and grab your bowl. Start spreading the egg whites throughout your hair. Remember to stay away from your roots as you don’t want them to look greasy. 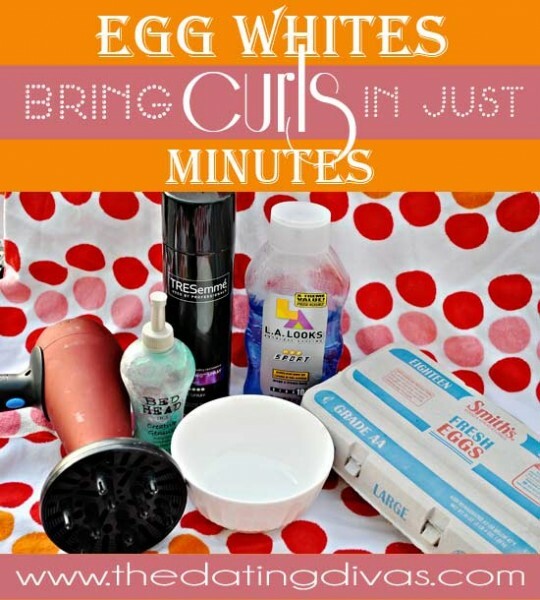 The egg whites should be put in the front, back, and sides of your hair while scrunching. I add a little gel afterward on top of the egg whites and you are pretty much done. 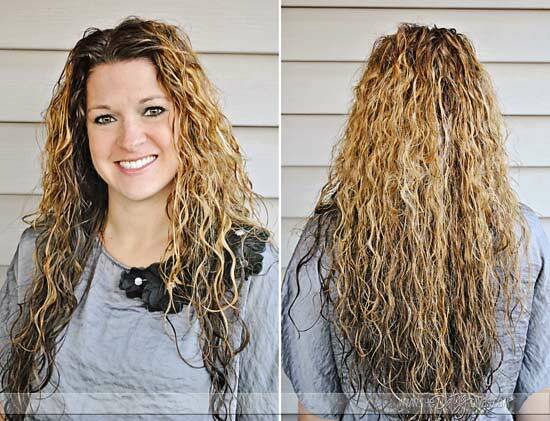 You should already see your hair looking crimped or curly. All of this is done in the shower. 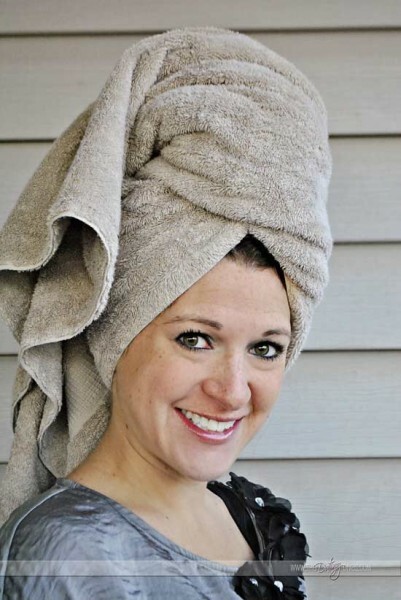 Once I leave I get a towel and wrap my hair to get out the access water. It helps me dry my hair faster and keeps the time down. 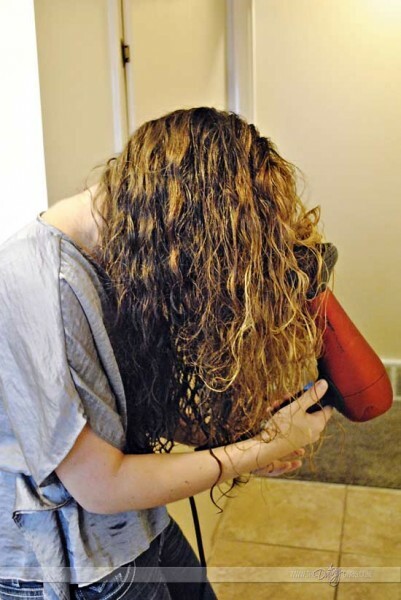 When I am ready to do my hair, the diffuser will help me keep the crimps and curls in place. This literally only takes minutes to complete.The final touch is adding a little hairspray to make sure that I don’t have too many flyaways. The look is great and I always get lots of compliments. The best part is that from the shower to my finished hair, I am down in less than 30 minutes, and as you can tell from my photos, that is saying a lot. Good luck and I hope that you share your photos with me as well! This is so interesting! You don’t rinse out the egg whites at all? Will this still work without the hair dryer? I try to do no heat most of the time. 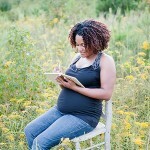 Can I just tell you how nice it is to see someone else with semi-curly/semi-wavy long, THICK hair? So cool. I had no idea . . . Totally tried it yesterday- holy curls, Batman! Love it! So you don’t rinse out the egg whites? Or do you? I’m confused. 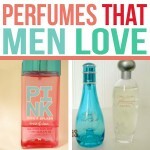 I really want to try this but I’m afraid that I might come out smelling like eggs. Nope, you don’t rinse out the egg whites. The egg yoke is the stinky part- so as long as you don’t get any yoke in your hair- you shouldn’t smell at all. 🙂 Let us know how it works. 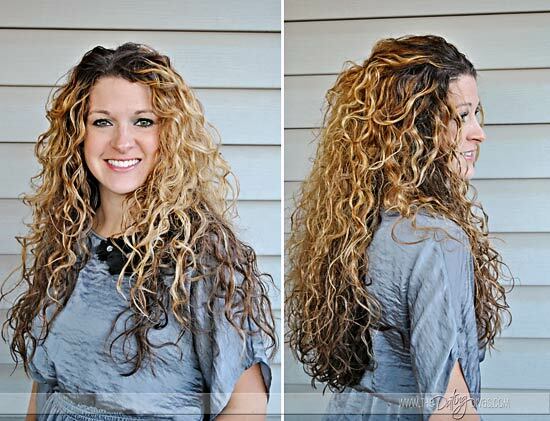 Does this work for those who already have curly hair? I love my curls, but they can be quite unruly sometimes! I have naturally curly hair also and it’s about the same length as yours, but my curls don’t look as defined as yours, so I’ll have to give this a try! One thing I’ve done for years is I take my hairbrush into the shower with me. After I condition my hair, I brush my hair to get the conditioner throughout my hair and to detangle my hair. Once I’m done showering and the water is turned off, I brush my hair again with my head down and squeeze the excess water out with my hands, brush it again, and then I “whip” my hair 2 or 3 times. I then use a leave-in defining curl conditioner (I will try the egg whites next time though) and then I wrap my hair in a towel, and then dry it when I’m ready to. Thanks for the tip! I look forward to trying it out! I second the whipping idea. 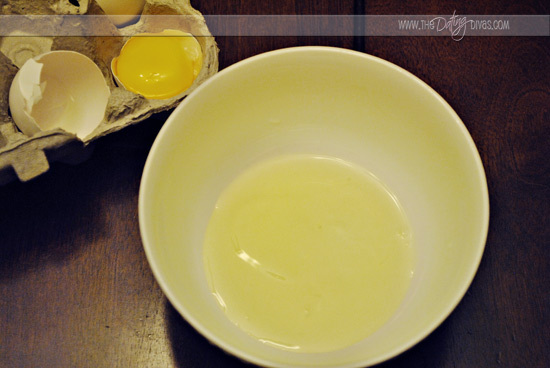 The egg whites are easier to work with when they are whipped and then you just apply like a mousse. I have found I use a LOT less this way, I use only one egg and I have some left over. Definitely want to try this – but what does your hair feel like after you’re done? I love the defined curl look, but hate when my hair is hard/sticky. 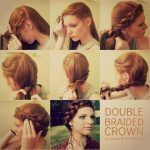 been working on how to do my hair for prom, and i think you just solved my biggest problem. Now my hair will be ready to put half up, or in an elegant bun. Thanks! may seem like a silly question, but does it make your hair smell?